Looking for a Manhattan Tax Attorney? I am New York City Tax Lawyer with 20 years of experience. It’s difficult, frustrating and can bring chaos to your entire professional and personal life. If you’re having IRS problems, even cashing a check may be difficult. In an effort to recover taxes they feel are owed, the IRS has numerous legal rights and an army of lawyers to pursue them to the fullest extent allowed. They have the right to freeze your bank accounts, place a lien on your house, interview your neighbors about your activities and even assign an agent to follow you around. Your life is not your own. If you have ever been involved in an IRS disagreement, this isn’t news. You know it all firsthand, and you know how long the process can take. The IRS won’t hesitate to use every weapon at their disposal. Your problems won’t go away. You need to take action to protect yourself today. The good news is that whatever your tax-paying history, you, too, have an arsenal of weapons at your disposal – your legal rights. One of the most important is the right to have legal representation, such as the Law Offices of Daniel Silvershein, to pursue your interests to the fullest extent of the law. A lawyer often can save you far more money than you would imagine. 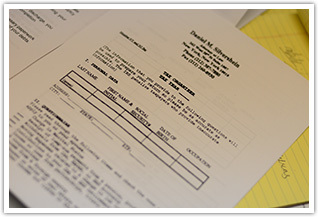 An experienced legal practice with significant IRS and tax expertise, the Law Offices of Daniel Silvershein know how to work within the IRS system to cut your tax bills and take advantage of your full legal rights. Most people save money after hiring a lawyer. Why lose another night’s sleep or spend even a dollar more on taxes than you actually have to? Legal representation is your best defense. Offer-in-compromise, which allows settlement of older tax liabilities at a significantly reduced figure or wipes them out entirely. Discounted Settlement, which allows negotiation of a substantially lesser tax liability than actually owed. Reduction Of Penalties, which saves you money and payment of interest on interest. Convenient Payment Schedule, which allows arrangement of tax payments that are practical and sensible for you, not the IRS. Bankruptcy, which will allow you to wipe out your entire IRS debt. If you are eligible, in some cases, this may be your best option. Talking through your problems with the Law Offices of Daniel Silvershein during our free consultation is the first step to ending your IRS difficulties. At that time, we can tell you what to expect and give you an idea of our reasonable fees. As your legal representative, the Law Offices of Daniel Silvershein will personally handle all IRS contact, including correspondence, telephone conversations and meetings. 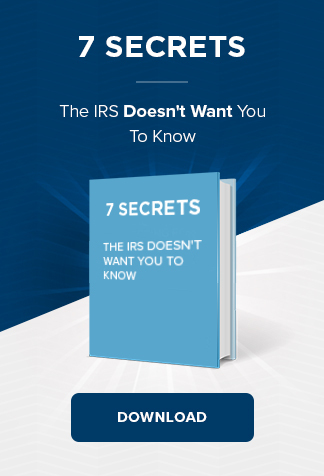 You’ll never even have to speak with IRS agents. And you’ll enjoy our personal commitment to the success of that case. Our dedication to meeting our clients’ needs distinguishes us from our peers. We are well versed in the IRS’s tactics and negotiating style and know how to exercise your rights in their system. We know whom to contact to get things done. If your case requires a court appearance, you will benefit from our extensive experience before the bench. However, the good news is that with the Law Offices of Daniel Silvershein on your side, your case will probably never go that far. Our offices are centrally located near Times Square and accessible by major subway lines. Or, meet with us in our Englewood Cliffs, N.J. office. Call today at 1-888-382-7880 to get the help you deserve.